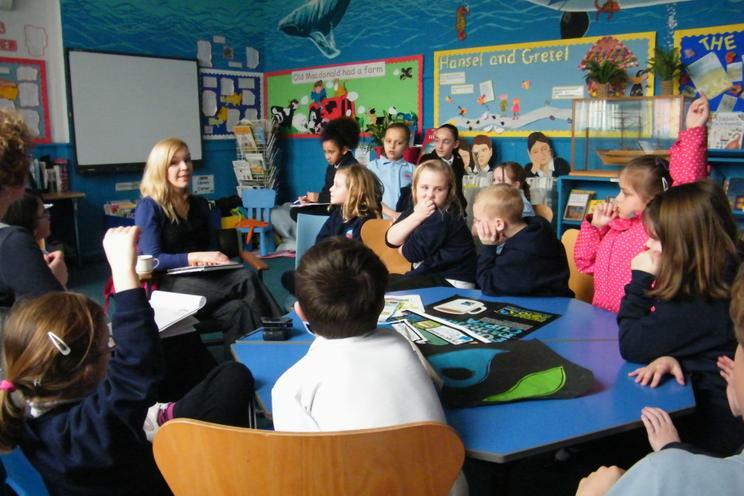 We were happy when Helen from Fairtrade Walesaccepted our invitation to come in and talk to us about what Fairtrade Wales does, and if she has and suggestions as to what we could do. 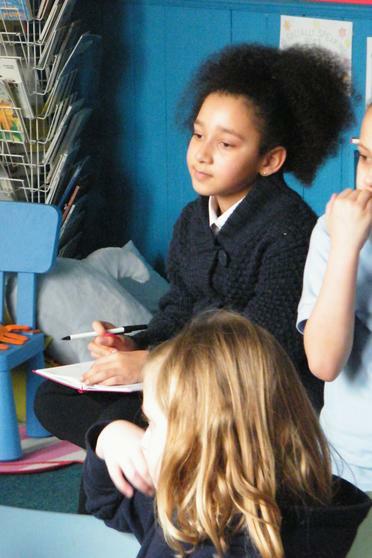 The Fairtrade steering group has been very busy thinking what they can do to make sure we can get lots of people supporting Fairtrade products. 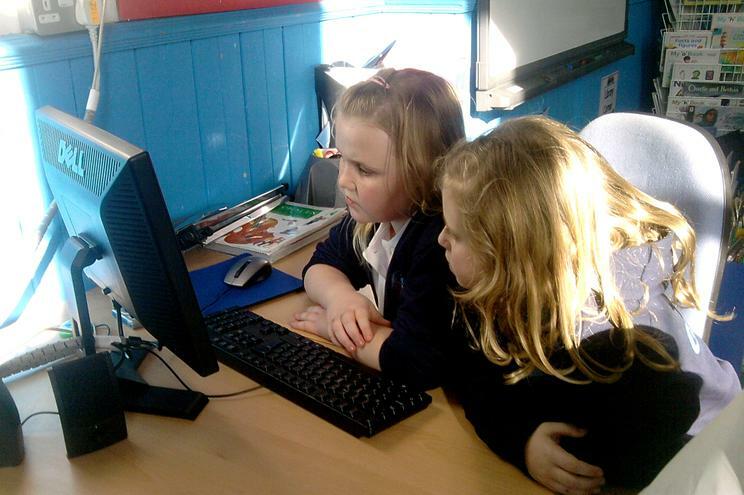 They are working on a questionnaire for parents, writing lots and lots of letters to people and giving out thank you certificates to encourage those that are already doing it. 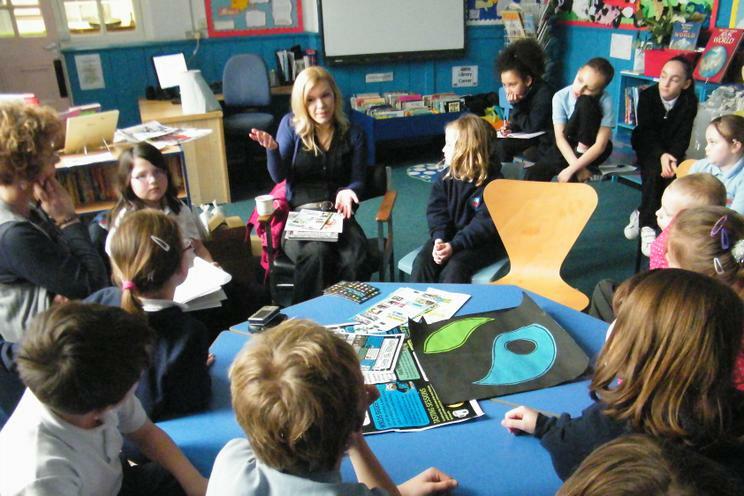 Helen gave us some brochures posters and other resources that we could use and hand out to parents to promote Fairtrade. 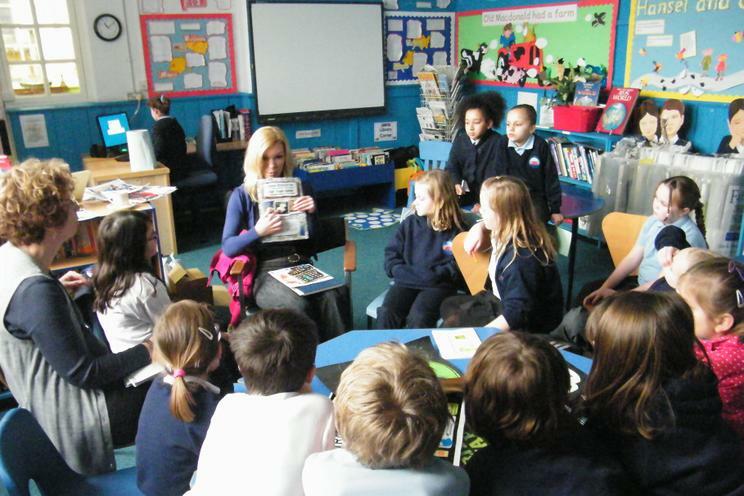 Helen shows us the Charlie and Lola 'But I do know all about chocolate' storybook. It is about where chocolate actually comes from. 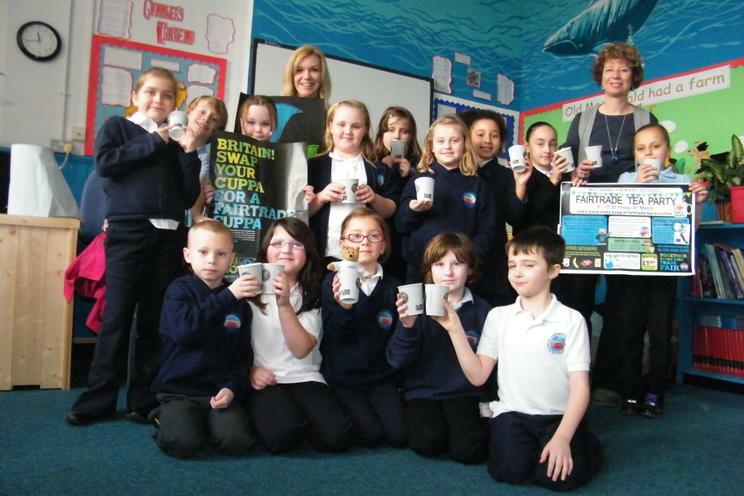 (not just the sweet shop) and was produced by Red Nose Day in 2007 as part of their work in supporting Fairtrade. 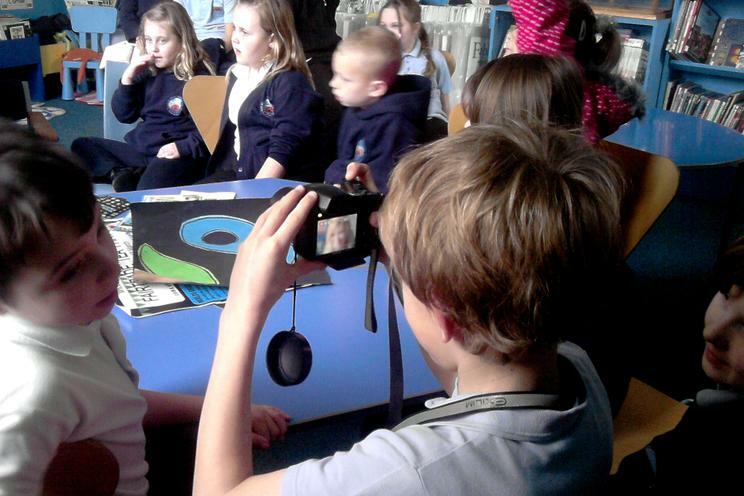 Most classes in the school have a copy and the children all recognised it. 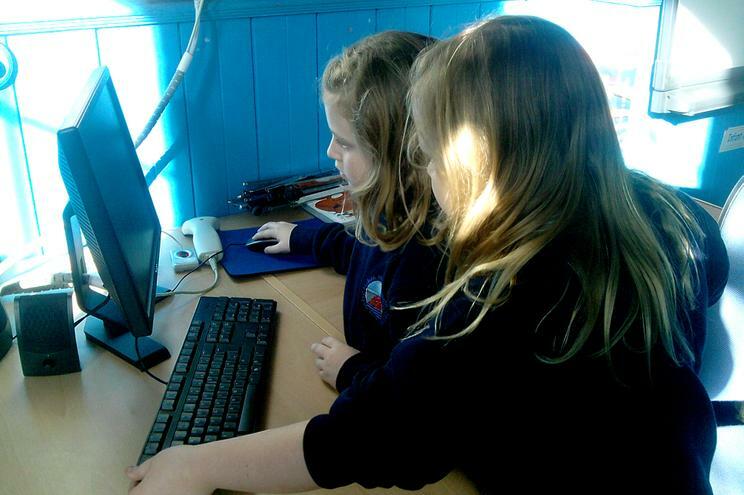 One of the children said it was also used in Brownies too. 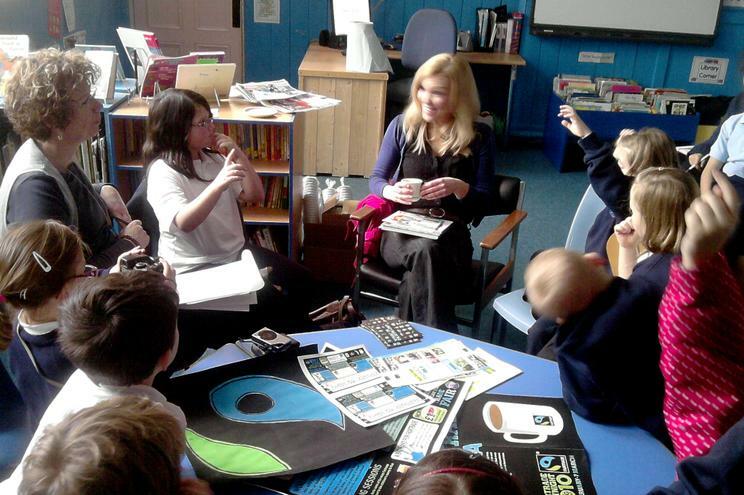 "What does the Fairtrade Logo meant to represent?" 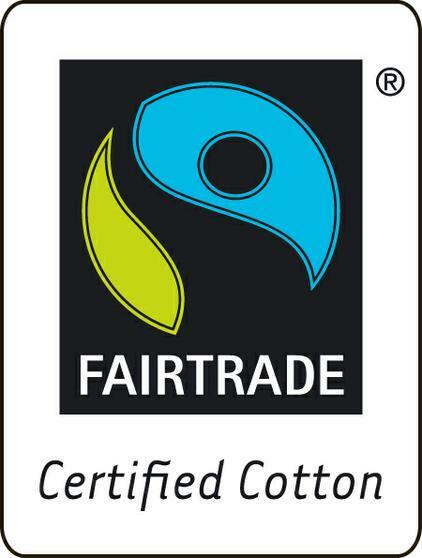 Helen tells us that "The eye-catching blue, green, white and black FAIRTRADE Mark was adopted by FLO (Fairtrade Labelling Organisations) International in 2002. The symbol is open to interpretation – some see a parrot, others a green leaf, some see the black swirl at the centre as a road leading to a brighter future. The most popular interpretation is to imagine the blue as sky, the green as grass, and the black dot and swirl at the centre as a person holding one arm aloft. 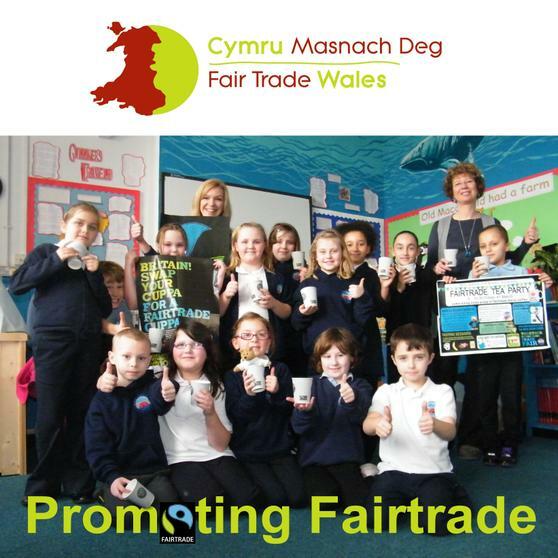 That figure represents the people at the heart of the Fairtrade system – it could be a farmer holding up their product, a shopper reaching to purchase, or a campaigner fighting for greater justice in international trade. 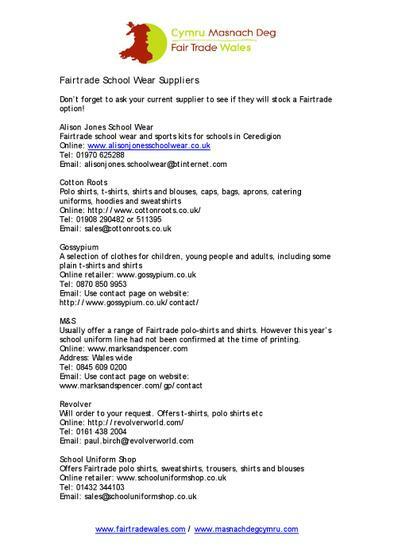 The top blue section reminds some people of the Ying and Yang symbol which represents balance and equality of course the Fairtrade symbol is not 'balanced' What can you see?" 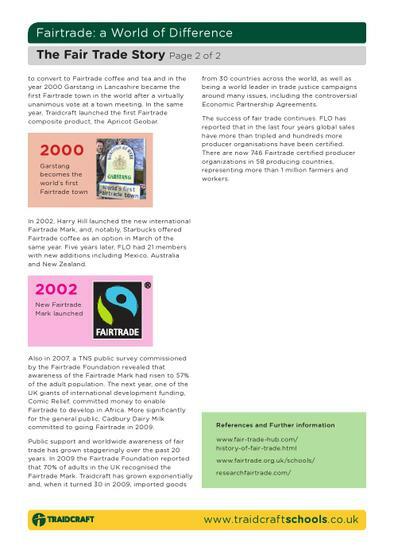 "When was Fairtrade first started?" The Fairtrade Foundation was established by CAFOD, Christian Aid, Oxfam, Traidcraft and the World Development Movement in 1992. (These founding organisations were later joined by Britain's largest women's organisation, the Women's Institute.) 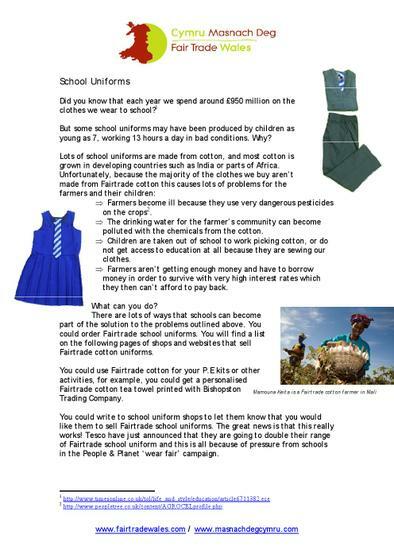 However the idea of fairtrade goes back much further in the 60's there was lots of slogans about "Trade not Aid" and Oxfam was keen to sell products made in the third world on similar principles. 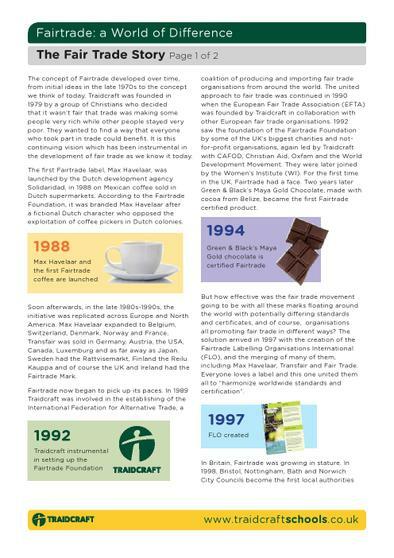 Look at the History pages of Traidcraft and the Fairtrade Foundation. 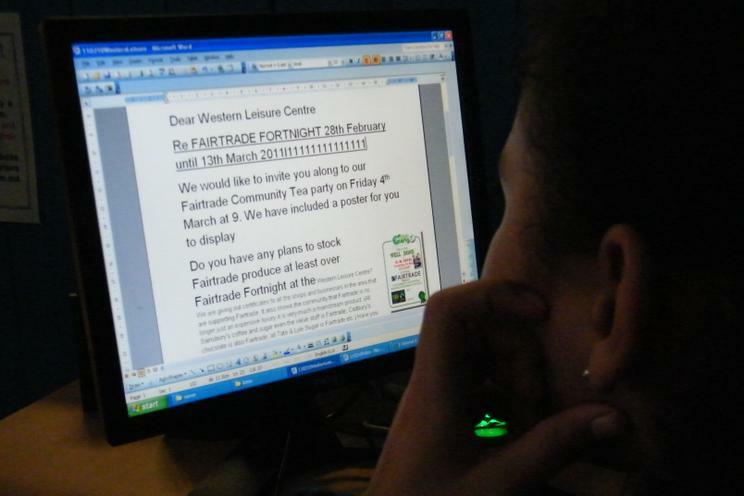 "Can producers in this country be Fairtrade?" 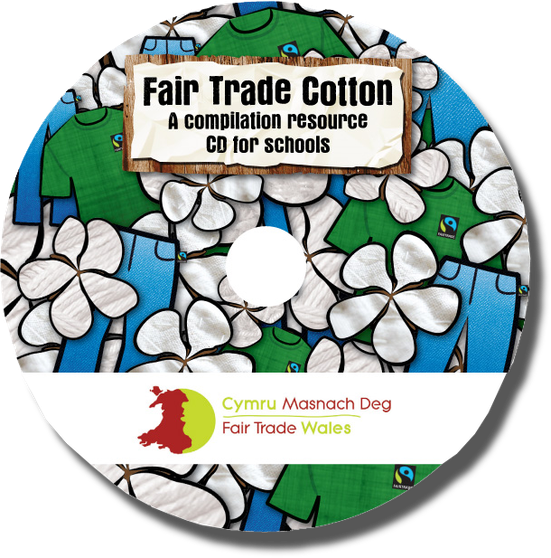 Wales is of course the First Fairtrade country in the world, Cardiff is the First Capital City but the Fairtrade logo is given to producers in developing countries to help them get a fair deal. Item 6 on Millbank's own ECO CODE did also say to promote 'Local produce' and '..growing your own food' too for lots of environmentally sound reasons and because that is good too. 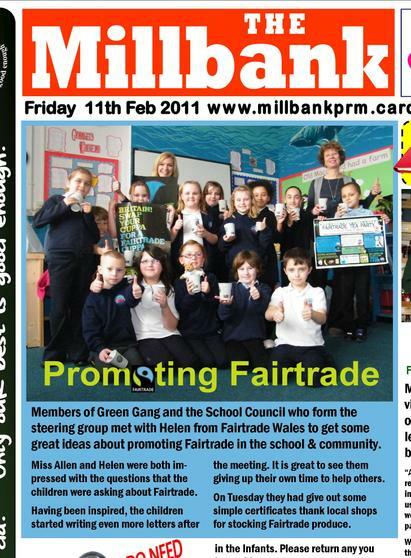 One of us asked "Can we get Fairtrade Paper?" 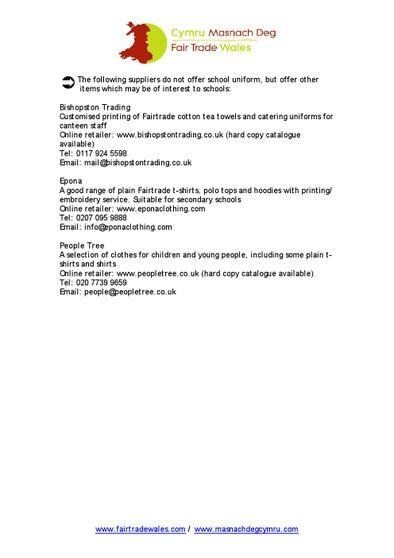 Not photocopy paper or writing pads on an industrial scale, but hand made paper is available (look in the Fairtrade shop or the Traidcaft catalogue). They also sell recycled tissues and loo paper that go to help support their work. You can of course buy 100% recycled paper for photocopies etc. A lot of the craft items that the children liked in the Fairtrade shop were made frompaper tubes or of course the newspaper bags. 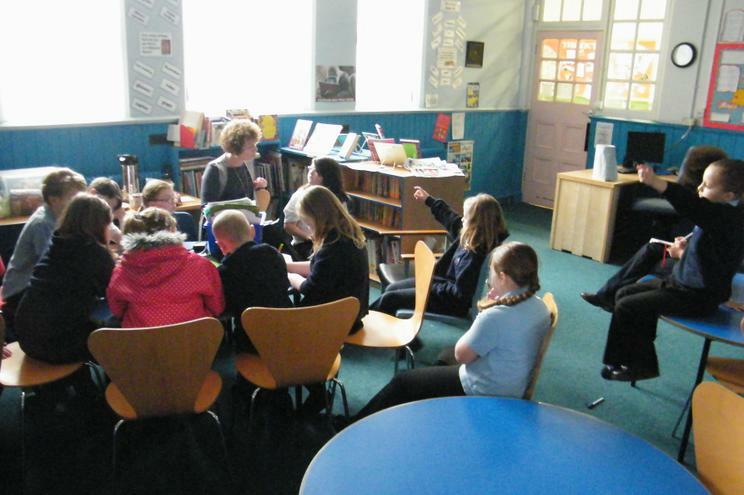 Helen also told us about the planned events in town with a Fairtrade centre opening in an empty shop in the Morgan Arcade opening for the whole of Fairtrade Fortnight- wow. That should really get the message out that Fairtrade keeps getting better. 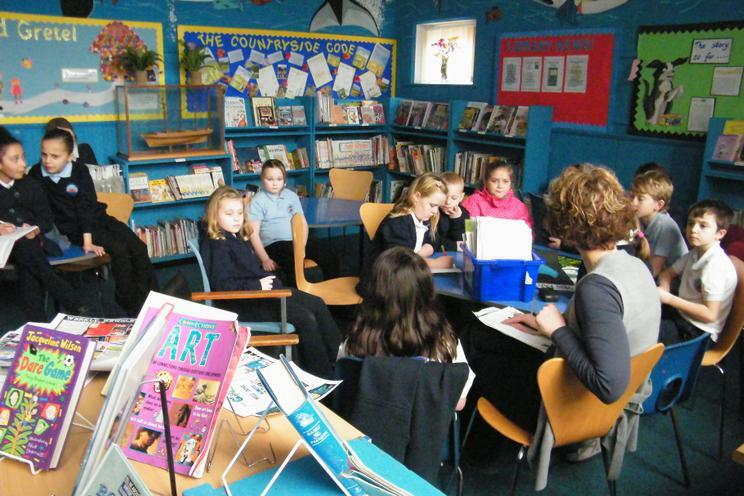 Lots of groups have already booked a visit, we asked if we could visit too. 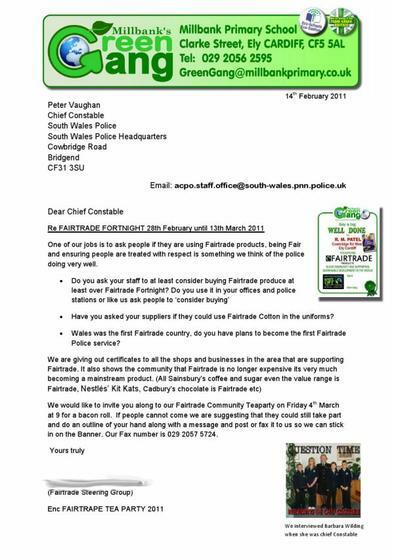 Other pupils think about the community what about the Police and Fire Service do they wear Fairtrade cotton shirts? 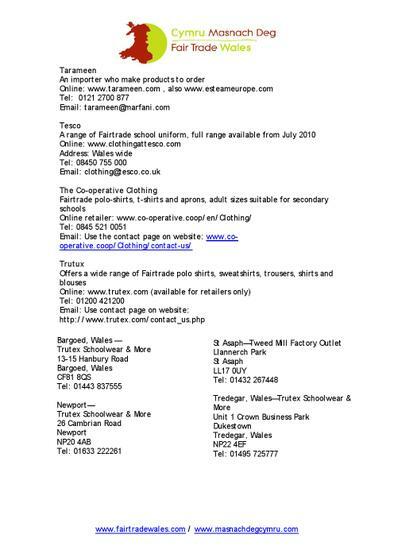 Are they planning to be the first Fairtrade services. 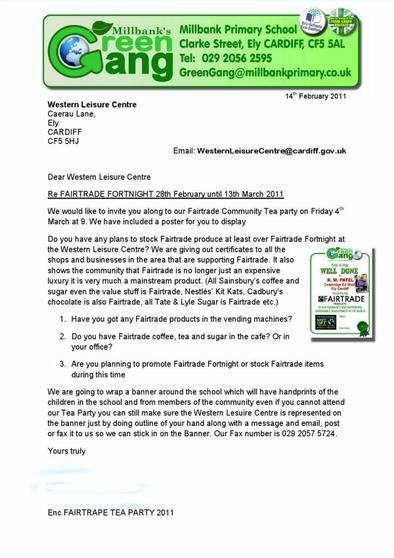 What about our local Leisure centre? 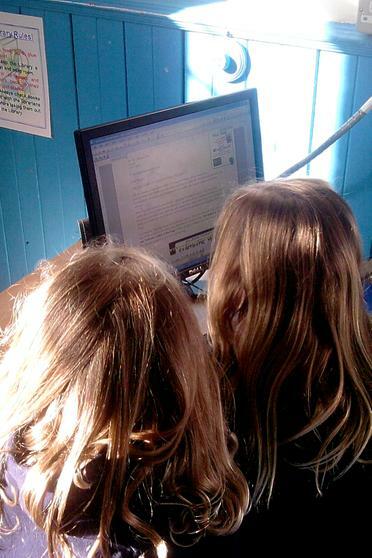 We write down these questions and then write lots of letters. We also had ideas about who to invite to our tea party. 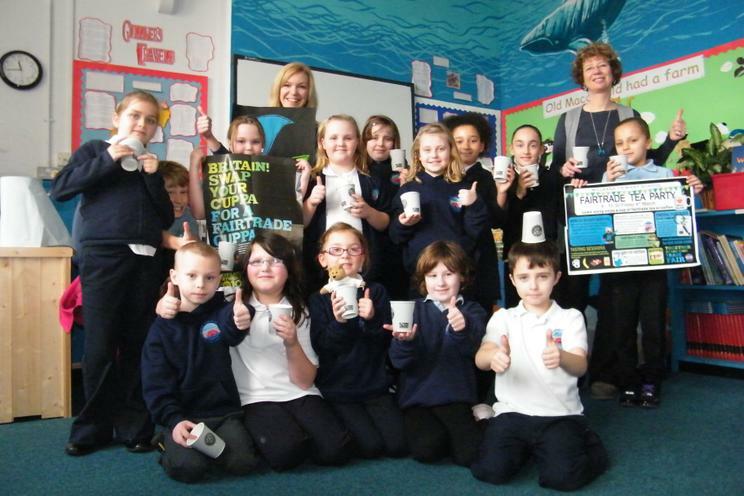 Of course one of the most important things we have to do is to say a huge thank you to Helen and all the team at Fairtrade Wales for the work that they do all year round supporting and the schools, groups and organisations such as villages towns and cities that are interested in Fairtrade and sustainable living. 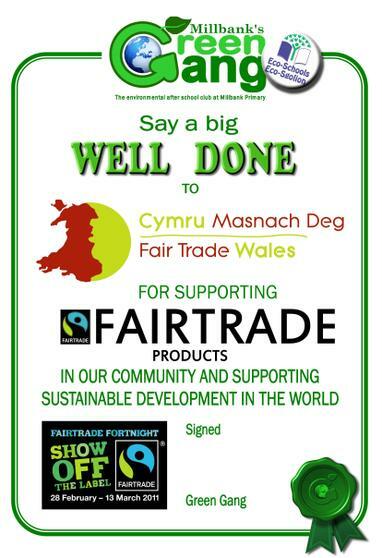 It is only a little certificate but but it certainly is a big "Well done" to Fairtrade Wales.